In case there was any doubt that Android 7.1 Nougat wouldn’t be headed to Nexus devices (or just extremely delayed), Google has just announced that the update is almost ready to begin rolling out in early Developer Preview form. App shortcuts API — lets you surface key actions directly in the launcher and take your users deep into your app instantly. You can create up to 5 shortcuts, either statically or dynamically. Circular app icons support — lets you provide great-looking rounded icon resources that match the look of Pixel and other launchers. Enhanced wallpaper metadata — lets you provide metadata about your wallpapers to any picker displaying the wallpapers as a preview. You can show existing metadata such as label, description, and author, as well as a new context URL and title to link to more information. Image keyboard support — expands the types of content that users can enter from their keyboards, letting them express themselves through custom stickers, animated gifs, and more. 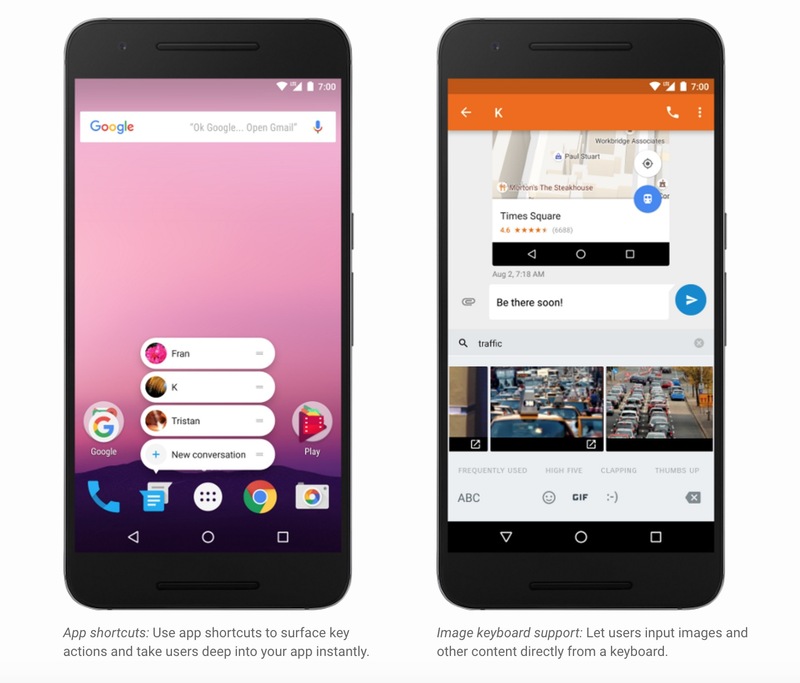 Apps can tell the keyboard what types of content they accept, and keyboards can deliver all of the images and other content that they offer to the user. 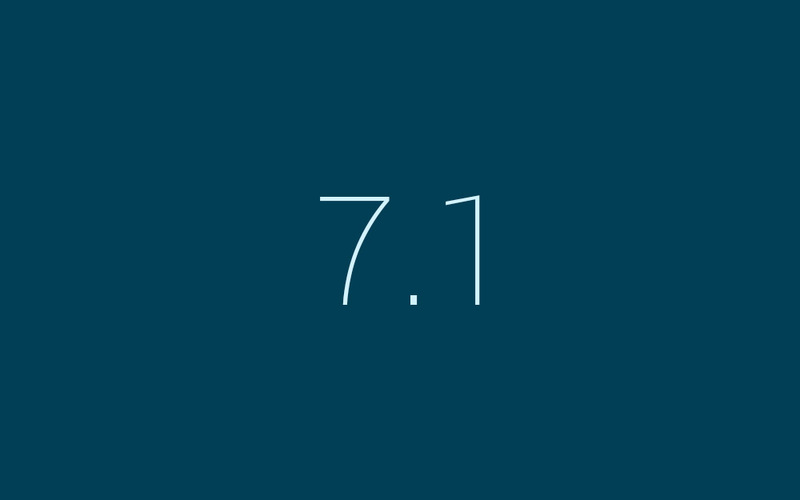 For broad compatibility, this API will also be available in the support library. Storage manager Intent — lets an app take the user directly to a new Settings screen to clear unused files and free up storage space on the device. While Google’s upcoming flagships will have 7.1 out of the box, Nexus users who join up with Google’s Android Beta Program will need to test it first. The update will begin rolling out later this month, but will only be available for the Nexus 5X, Nexus 6P, and the Pixel C.
The rest of the Nexus family can expect to see it sometime near the end of the preview, with Google saying that the final version of Android 7.1.x will be available to Nexus 6, 5X, 6P, 9, Player, Pixel C, some Android One devices, as well as the Pixel and Pixel XL in December. Notably absent from the announcement was any word on Google Assistant, which appears to still be a Pixel exclusive (but there are methods to get it up and running on some Android devices right now).